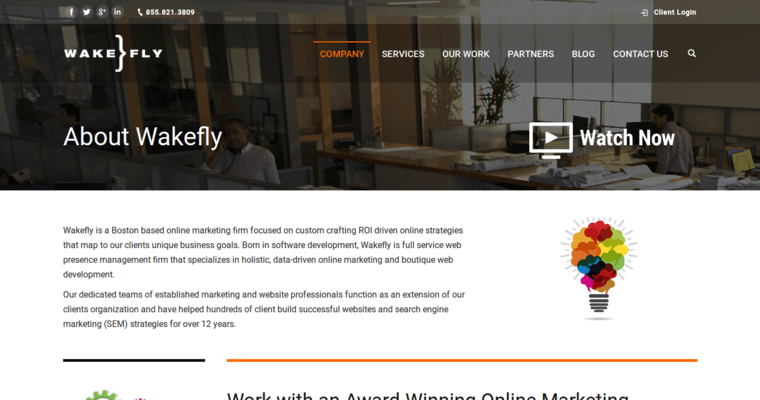 Wakefly is a web design company operating out of Marlborough, Massachusetts. 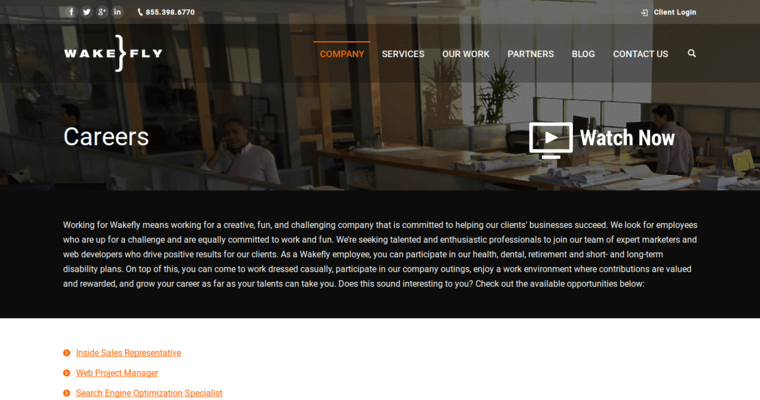 They specialize in creating websites for brands. They also work with customers to establish digital marketing strategies that help them reach more customers. Their management team includes the following people: Dean Dorazio (CEO and Partner) Jon Baer (Business Development and Partner) Tim Hawkins (Creative Director and Partner) Currently, Wakefly has forged partnerships with the following companies: Google Kentico Sitecore Progress WordPress Umbraco Siteimprove Salesforce Wakefly won 3 Awards of Distinction in the 2018 Communicator Awards. 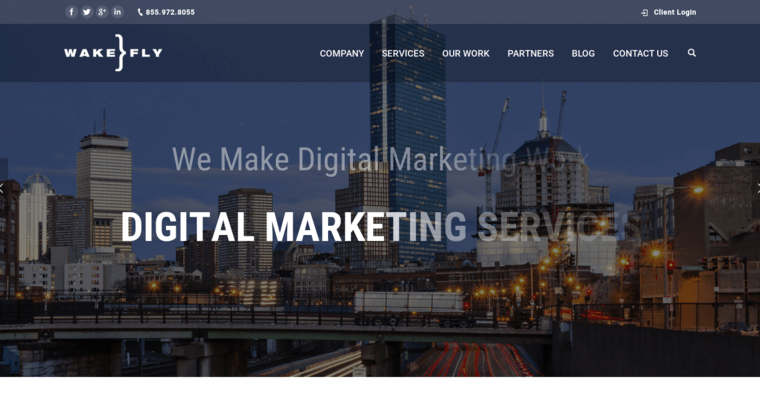 They were also included in UpCity's Top Digital Marketing Agencies for 2018. In previous years, they have won Horizon Interactive Awards, Summit International Awards and WebAwards.